Susan’s outfit is really cool and made her stand out from the crowd, however, not one of my favourites though. One can see that a lot of effort was put into creating her ‘Tuxedo’ to make a fashion statement and the hair style perfectly compliments it. 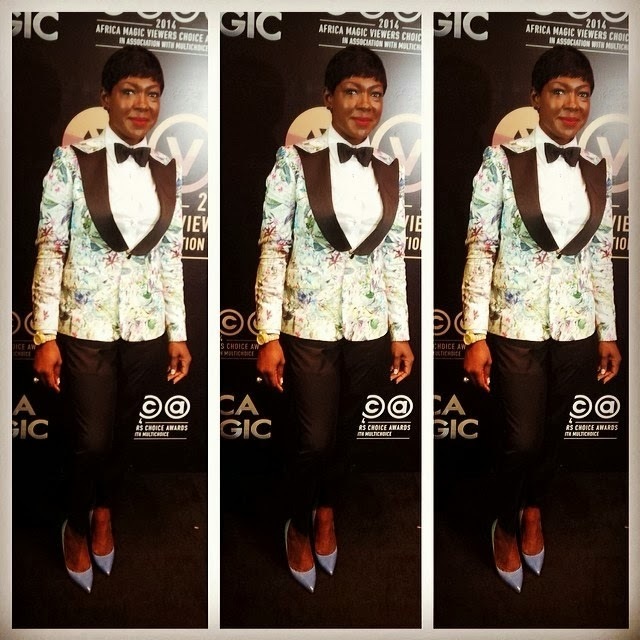 This entry was posted in Entertainment, Fashion trends and tagged Latest Picture of Susan Peters at the AMVCA 2014.